Lightweight, adjustable guy lines in two sizes. Learn more. These lightweight and adjustable guy lines feature a secure, non-slip design that makes it easy to stabilize your tent in heavy winds and to minimize leakage by keeping the rainfly away from the tent body. 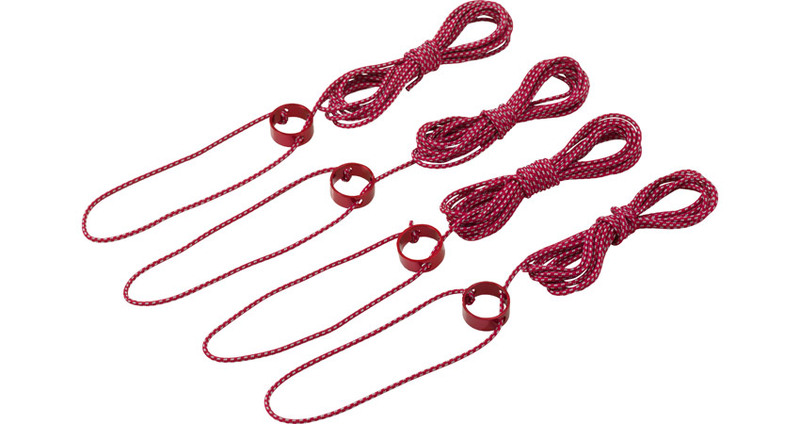 They come with easy-to-adjust CamRing™ Cord Tensioners and are available in small and large sizes: a set of four 2.4 m (8 ft) guy lines and a set of two 3 m (10 ft) guy lines.